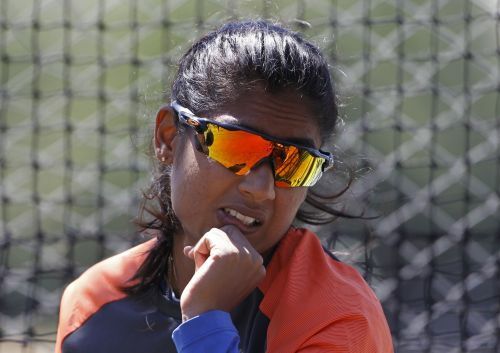 New Delhi, April 16 (IANS) Indian women's cricket team captain Mithali Raj has been named the goodwill ambassador of Team India at the Street Child Cricket World Cup (SCCWC). Announcing her support, Mithali said, "I am excited to join the Street Child Cricket World Cup as a goodwill ambassador for Team India. As an athlete, I know the true potential that sports can play in not just changing a child's reality, but also garnering public support for children who live on the streets. India has over 20 lakh street connected children and there lies our nation's untapped potential." "As a woman cricketer, I am super thrilled to see that this tournament is gender equal- boys and girls will play together. Playing at Lord's is a dream for many, which has become a reality for these young champions and I look forward to following their game," she added. Welcoming her on board, Pragya Vats, Head of Campaigns, Save the Children said, "The team has been getting incredible support from the cricketing world, with Saurav Ganguly and Rajasthan Royals; and with Mithali Raj joining us as a Goodwill Ambassador, it will be stimulating to the team, where gender equality is the essence. She is a highly inspiring sportsperson, representing India and has brought laurels to the country." Geeta Venkadakrishnan, director, Hope Foundation added, "For the children, this comes as a lifetime opportunity to not just play the game at an international level, but also meet such legends of cricket and be taught the game by them. Their support will instil more focus, passion and commitment to the game".